When you look at some of the wider shifts in society – slow wage growth, increased cost of living, and economic uncertainty – it’s easy to see why people are interested in creating their own paths by becoming entrepreneurs. In Houston, small businesses are a driving force for the local economy. We are home to more than 110,000 small businesses, of which 40,000 are Hispanic-owned and 16,000 are Asian-owned. Immigrants and minorities don’t always have access to the same resources or networks that most enjoy when it comes to opening a business. 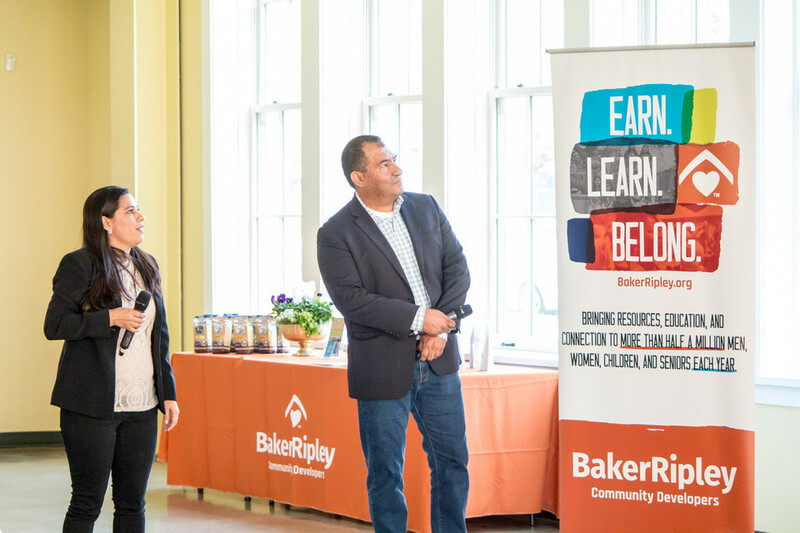 At BakerRipley, we focus our work on what’s going to help keep Houston a place where individuals can earn, learn and belong. 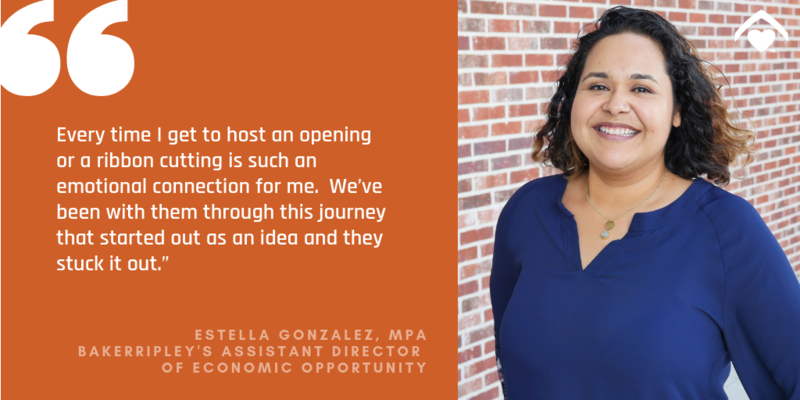 We talked with Estella Gonzalez, Assistant Director of Economic Opportunity, about what makes our Entrepreneur Connection program unique. Estella came to BakerRipley in 2014 with extensive expertise in asset development for low-income communities and launched the program in 2015. In this short period of time, 21 businesses have opened and created 33 full-time and 21 part-time jobs that support the Houston economy. The program was specifically designed with input from our neighbors – it offers individuals a number of services, which include our Entrepreneur Academy classes and a business plan competition, allowing for entrepreneurs to receive mentoring from leading industry experts. What’s unique about our Entrepreneur Connection program? The flexibility – our coaches are able to go visit the businesses. I love that about our program. Participants don’t have to come to us, we go to them because they are busy with their business. We stand behind what we say; we are there for the entrepreneurs. We work nights and weekends, and we’re always there to support them. Especially during the incubation period which is really intense, we’re always just a phone call away. It’s important for people to know that if you come to us we’re going to help you. We had people from Dickinson, League City and Katy. It’s really neat to see people from all over the place. It just shows how important the program is. There are a lot of resources for entrepreneurs but not for immigrant business owners. While our program started as the only Spanish-focused incubator in Houston, we now offer all of our services in English as well. What is it like to see these entrepreneurs open up their business? Every time I get to host an opening or a ribbon cutting, I feel such an emotional connection. We’ve been with them through this journey that started out as an idea and they stuck it out. We were there when they needed a therapy session, or when they needed to visit the bank, or when they were having trouble with the city. I think about what it means to that family. We recently went to an opening and I met the husband of one of our entrepreneurs for the first time. He had tears in his eyes when he was shaking my hand, telling me how much he appreciated our work. It’s so important for them. This is why we do what we do, and we know it’s life-changing for this family. The one thing you need to have before you come into our classroom or a workshop is passion. That’s what is going to keep you going when you’re juggling a full-time job and doing this business on the side, which is how a lot of our folks start. When we ask you to do homework and bring it back to your coach, it’s going to be the passion that gets you through the long nights. It’s very important that you’re trying to do a business around something that you care about or a skillset that you have. It’s going to be a long journey – it always is – even for folks who have been doing this for a long time. How can we support local entrepreneurs? The number one thing is spending your money locally. I’ve really changed my personal spending habits. I’ll seek out the local coffee shop, the local clothing vendor. It’s just so much more impactful. Not only are your dollars going to a local entrepreneur who has a family to support, it’s helping your community as well. Also, if you have a particular skillset that would be useful for entrepreneurs, we’re always looking for skilled volunteers who can help as mentors. The program continues to expand with new classes and services. 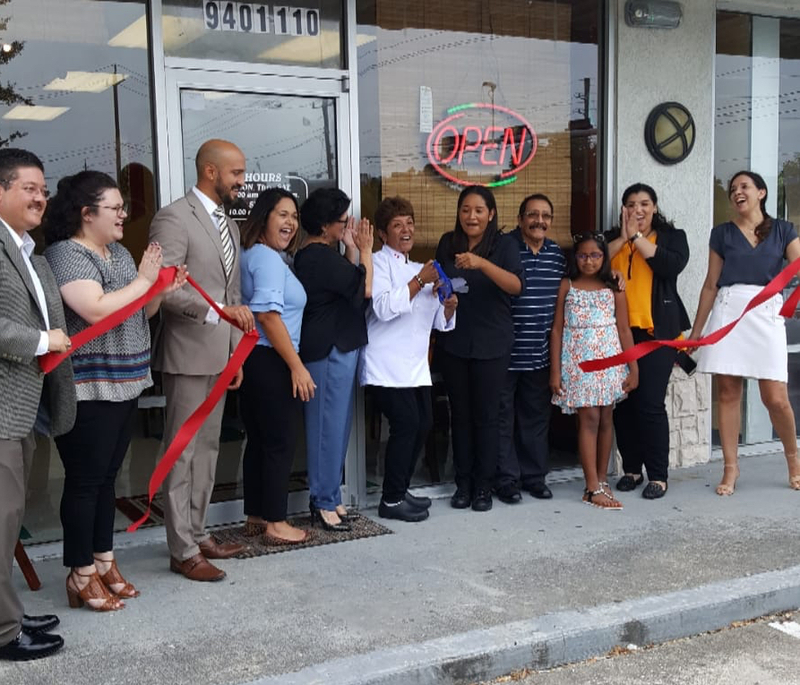 The opening of the Café at our Baker Ripley East Aldine Campus is going to be huge for the community and for any food entrepreneur who needs to get affordable space. We’re really excited to see how this works, if organically there are ways we can support the entrepreneurs who are using the kitchen. The market is kicking off this month; it’s brand new. We’re coaching entrepreneurs to sell through our pop-up markets every month and hopefully we can expand this to other centers.